Twenty Five personalities participate in the symposium including judges, parliamentarians, lawyers, academics, media and human rights activists. Mr. William Warda managed the proceedings of the symposium reviewing what was achieved in the first symposium and the text of article 372 open discussions in emphasizing the standards that serve the rights and protect Iraqi society. Extensive deliberation between the need to amend and maximize or reduce penalties or to find alternative laws or maintain them in accordance with the desired legal reform. 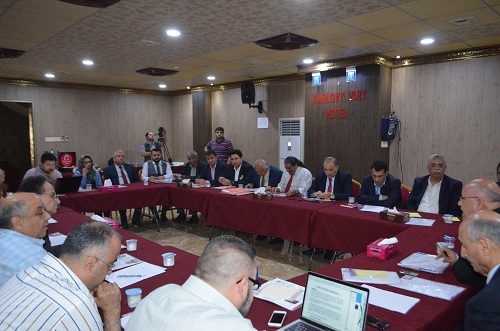 The second dialogue session was held in Erbil on 14th April 2018 to discuss Article 372 of the Iraqi Penal Code No. 111 of the year 1969, which deals with the protection of religious sanctities and symbols within the framework of the project for the promotion of minority rights, and within the framework of legal reform. Twenty Five personalities participate in the symposium including judges,lawyers,academics, media and human rights activists. 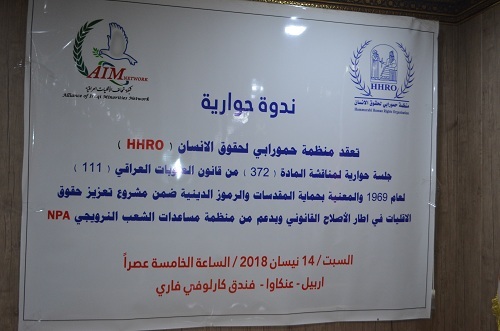 Mr. William Ward, Public Relations Officer of the Hammurabi Human Rights Organization, managed the proceedings of the symposium and opened discussions concerning the legal article in reference to the objective within the framework of the program launched by the Alliance Network of Iraqi Minorities to review a number of laws and study the possibility to amend or find alternative laws in a wide defending campaign in front of the Iraqi public opinion, and within the institutions concerned with the laws such as the House of Representatives, Ministry of Justice , civil organizations and other active institutions in this regard. Mr. Warda reviewed what was achieved during the first dialogue session held in Baghdad on 7th April 2018 at the hall of the Cultural Center of oil and what was agreed upon in this regard after deliberations that took place during the meeting by the Committee of Experts composed for this. Mr. Warda also elaborated on the efforts exerted by the Alliance Network Of Iraqi Minorities and the Hammurabi Human Rights Organization on the position of Article 26 of the law of Unified National Card and the possibility of its amendment to protect the rights of non-Muslim Iraqis and the similar efforts on the law of minority protection No. 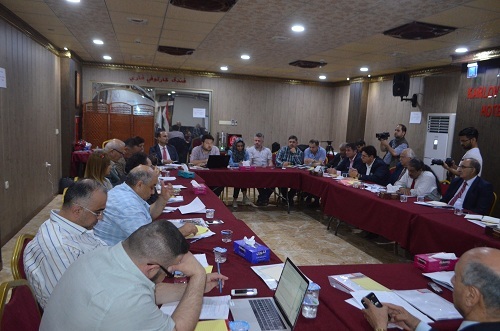 5 in Kurdistan region and how the program adopted in this regard has stopped and not completed as a result of what happened over the parliament in the region, Mr. Warda read the text of article 372 with a comparison between the amended text and the basic text. The discussion session witnessed intensive deliberations among the attendees, which led to a clear divergence of views between the possibility of tightening the sanctions mentioned in this article and the impact of this in limiting and reducing the chances of expressing opinions and reducing the text of the article and what can reflect the excessive disregard for religious values. 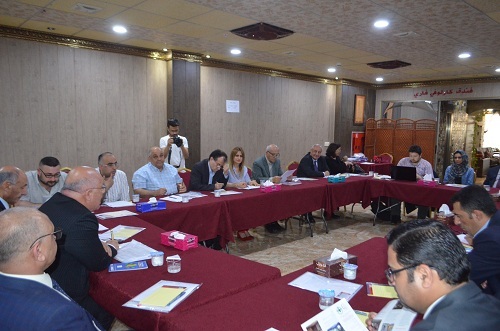 Within the dialogue session, the participants talk about the importance to update the laws in order to emphasize the development of Iraqi society. It also drew observations on religious platforms and how it did not take its required field to protect religious freedom and find common standards and concepts that protect Iraqi society from overriding public religious rights. The failure of the media in this matter, as well as the failure in concepts to accept the other and establish a culture of solidarity and live communication between all components of Iraq. Other relevant topics discussed by the participants in the dialogue session include the establishment of a modern civil state and the development of Iraqi society on the basis of respect for the religious rights of all Iraqi components and the possibility of deterring and respecting those rights by other measures that do not affect the general human rights of citizens. It has been agreed to give a deadline until 20/ 4/2018 to arrive at the editorial views and perceptions that serve this subject to prepare a mechanism of action in the next step. 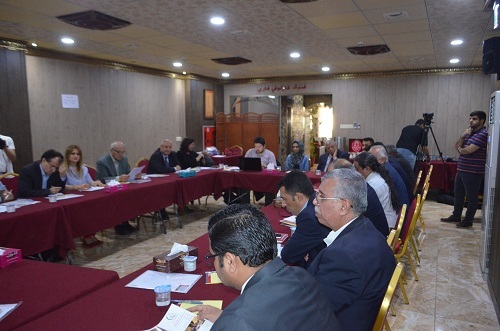 It is noteworthy that the Hammurabi Human Rights Organization held the two sessions of dialogues on article 372 of the Iraqi Penal Code according to the agenda prepared by the Alliance Network of Iraqi minorities in the campaign, which is supervised by the legal reform.